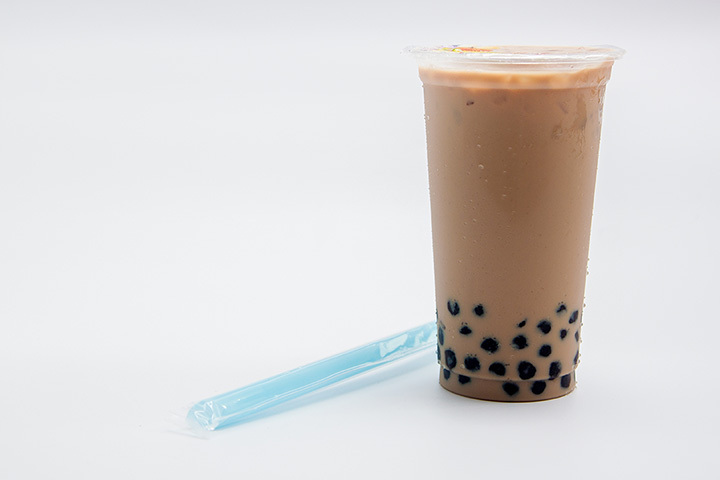 It’s hard to imagine that tiny balls of tapioca could be so much fun in a milk tea drink, but they are. Maybe because they come in so many flavors and textures from popping boba to fruit jelly to puddings. Grab a straw and bob for boba at one of these 10 awesome places in New Mexico! With hundreds of drink combinations and more than 20 different add-ins, bubble tea lovers would be hard-pressed not to find a favorite drink combination here. The Royal Milk tea is extremely popular, but other varieties of milk teas include exotic flavors like lavender latte, papaya milk and taro milk. Don’t forget the boba or jelly add-on. Any bubble tea can also be made into an icy slush or a snow smoothie. Yes, you’ll find great coffee drinks here, but the main attraction is the unique bubble teas with boba they create. Boba is made fresh daily. Traditional flavors are honeydew, green tea, taro, coconut and almond. Both the Thai and milk tea are a combination of sugar, ice cream and milk. Try something new and ask for Boba in your coffee … you might never drink coffee without it again! The success of this tea shop is due to the certified tea master and barista who hails from Taiwan and knows a thing or two about the bubble tea craze that began in his country. He makes his own boba daily, from a traditional recipe that keeps the tapioca balls just the right texture for slurping up through a straw. Milk teas are made with black, jasmine and oolong teas and milk. Non-dairy choices soy and almond milk. Mix things up with mango, lychee or strawberry popping bobas or mango, lychee, passion fruit or coffee jellies. Take your time here, there’s a broad range of bubble teas to choose from so don’t rush through the selection. Choose from milk, slush or a snow bubble smoothie. The boba is soft and chewy, just the right consistency. You can personalize your drink by choosing the sweetness and ice levels. Milk teas are available hot or cold. Flavors are all over the map from honeydew to taro to mung bean to avocado. If you’re looking for something traditional try Thai milk or Royal milk tea. You don’t even have to get out of your car to get a drink … there’s a drive thru. That make for a spontaneous bubble tea moment! This small tea room, locally owned and operated, has been a fixture in town for years. The menu is huge in flavor—all manner of fruit represented plus matcha, coffee, ginger, taro and red bean. Almond milk for those non-dairy drinkers. Choose from snow bubble or milk tea, as well as iced teas and slushies. For a snack, try the crab cheese wontons. This is a place to splurge a little, not just with a drink but by slowing down and spending time enjoying a delicious moment. Teas are sourced from growers, organic and Fair Trade if possible, around the world and brewed with exceptional care. Bubble teas are exotic and flavorful and the boba pearls are fresh and soft. The iced vanilla toddy and green buddha boba are local favorites. Add boba to any hot or cold drink. This may be a Vietnamese restaurant, but the local family who owns and operates knowns how to make more than just egg rolls and fried rice. There’s an interesting selection of boba drinks—strawberry, pineapple, lychee, taro and avocado are favorites. Also on the menu is a straight-up Thai tea that’s strong and sweet. Wow, this is a boba lover’s paradise. Try a milk tea, golden tea plus milk and flavors like honeydew, rose and watermelon or a snow boba, blended with milk, ice and whipped cream or a slushy, crushed fruit blended with ice. Any and all three come with boba, regular, popping and jelly, if that’s your craving. The colors are mouthwatering, the flavors intoxicating. A warm and welcoming environment creates an atmosphere that soothes the soul and inspires customers to stay awhile. They may do coffee well, but equally as impressive is the bubble teas. Don’t miss the watermelon and taro, tastes a little like a coconut macaroon. Toss in a handful of popping fruit bobas for a heavenly and tasty treat.